Other volunteer hours: ~500; I volunteered a lot! I went on a 3-week mission trip to France, a therapeutic horse riding center, and a pony camp as well as spent a lot of time in leadership volunteer positions such as leading music ministry at church, leading bible studies, being a part of my church’s leadership team, and helping to lead retreats. I only interviewed at one school: Bethel University, and I got accepted and that is where I will be enrolling. One of the other schools I applied to does not do interviews and I have yet to hear back from them, and the third school I did not receive an invite to interview at. I honestly wasn’t expecting to get accepted my first time, I basically applied to schools around my area to get comfortable with the system! I had a “W” my first semester of college in Calculus II because I was taking a lot of credits and I changed my major, but I was never asked about it. My biggest shock was how young I was compared to the other interviewees! Many of them had a couple years post-undergrad where they gained a lot of experience which was a little nerve-wracking for me. Also, the group interview portion was a little awkward because you had to read the room really well in order to stand out without being rude or disruptive! I listened to the PA Platform podcast a LOT! It helped me feel so confident going into interviews because it was really informative about everything from PA programs to interview processes to the life of a PA. I also got the e-book for “PA School Interview Guide” and that was super helpful too! Start everything as early as possible! Start your personal statement (even if it is just a sentence), get familiar with CASPA, research programs and plan your pre-reqs, do whatever you can to shadow PAs, MDs, and NPs, & get those patient care hours!! Also, stalk PAs on social media! YouTube, podcasts, & Instagram are all great resources and will not only keep you motivated but will also educate you on everything you need to be successful in getting into PA school! How many programs did you interview with and what were the outcomes? Invited to 3, Interviewed at 2, 1 acceptance and 1 wait list. Any red flags on your application? I did not have as many extracurricular hours as many students tend to have and I also chose not to take the GRE. While I did understand that would limit my choices during applications, it was a personal decision I made based on timeline, stress and my current workload at the time. Luckily I was never asked about either of these things during interviews but I was nervous that programs would not see me as "well-rounded" as other applicants who had far more volunteer/shadowing hours. Anything you found surprising about interviews? People are so friendly- fellow interviewees, faculty and current students! At both interviews I attended, the students and faculty truly made a huge effort in trying to settle our nerves and make us feel more comfortable during the process. I even made friends with a few people at both interviews and have stayed in touch during the process. You need to go into the interview open minded and try your best to relax! I also had two completely different interviews at each program. One had 3 tests (3!!) that we had to take prior to our group interview which was followed by an individual interview. The other school had a 2-on-2 interview, group activity and an active research assignment we had to complete. The days were long! I spent 7.5 hours at the first school and about 4 hours at the second. Tip #2: Wear a smile throughout the day! Your interview starts the moment you set foot on campus and won't end until you're on your way home. Everyone is watching you, so put your best foot forward, portray confidence with a smile and be friendly to others that are interviewing. It will make you less nervous! 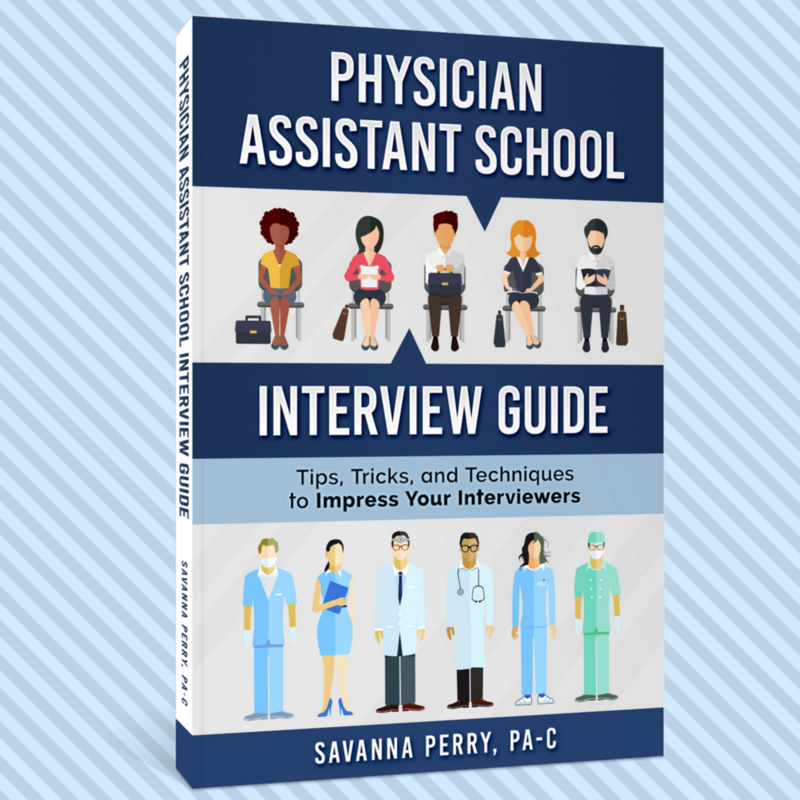 When preparing for interviews, I LOVED Savanna's book the Physician Assistant School Interview Guide. I bought it the same day I learned of my first interview invite and read it cover to cover probably 3 times! The questions were helpful and gave me a better idea of how I should formulate my answers. PAEA directory for researching programs. Various blogs and Instagram profiles (Life as a PA, With Ashley Kay, Page the PA, Fresh Prince of Healthcare) were a great reminder to push through the tough times and keep working towards your goal! Don't compare yourself to others! Remember you are just as deserving as everyone else who is applying during your cycle or at your interview, you just need to show admissions just how awesome YOU are! I will be the first to admit I often found myself looking at people's "stats" on the PA forum and would think I wasn't good enough or wouldn't get in my first time, but I learned quickly that you can't do that! It's not healthy and it won't do you any good. Focus on your positives and what makes you unique, write them down even so they're at the forefront of your mind (this will help you during interviews too). The process is slow and nerve-wracking but everything happens for a reason and if you keep working hard, you'll one day get to be a PA!! How many times did you apply? : one time! my first time! Where will you be attending? I am thrilled to be committed to MCPHS in Boston. For as long as I wanted to be a PA, my dream was to attend this program. I am so excited to begin in the Fall of 2019!! Any red flags on your application? My GRE scores were not as strong as I had hoped. I struggled with the GREs, and ended up taking them twice to improve my scores. It was not my strong suit, but I knew I had other areas of my application to be proud of. Anything you found surprising about interviews? As nerve-wracking as they were, I loved my interviews! For the most part, I loved getting to know the program, faculty, and students. However, my first interview was an MMI style, and I was completely thrown off as it was SUPER challenging. I definitely learned a lot from that first interview and am ultimately grateful that it challenged me to prepare even harder for the next interview. Were there any helpful resources (books, websites, apps) you used to get through prerequisite courses, the application or interview process? I utilized your book (PA School Interview Guide), along with the book "How to Ace the Physician Assistant School Interview" by Andrew Rodican (affiliate link). I seriously think that both of these books were the key to my successes, along with practicing out loud in front of a mirror and to my family and friends. I was lucky to also have contacts through Instagram and PAs I shadowed to help me during my application and interview process. Any other advice for other pre-PA students? My best advice would be to start preparing to apply early. 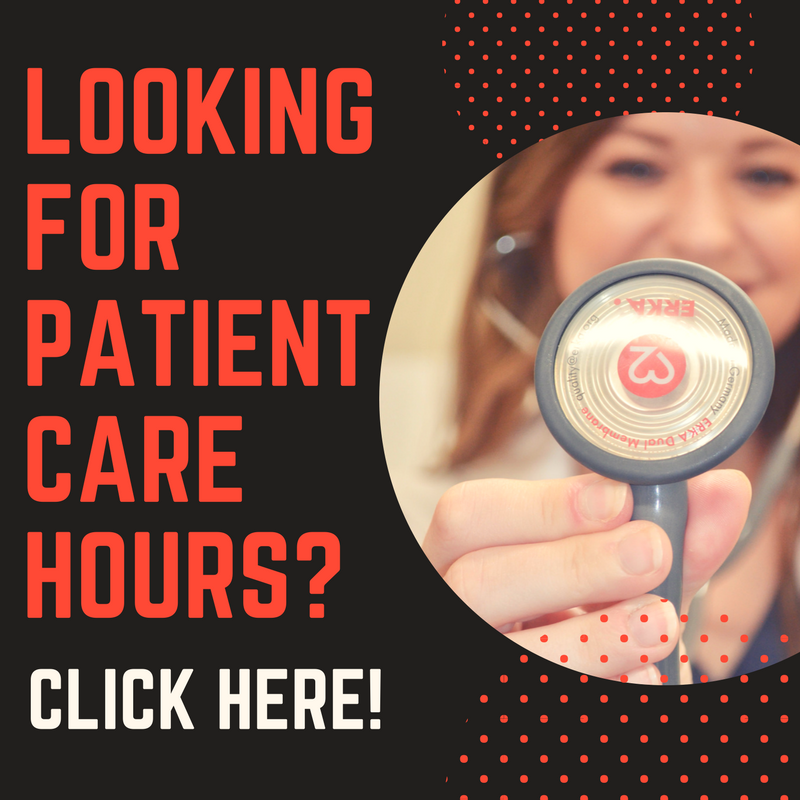 Allow enough time to shadow, study for the GREs, gain patient care hours, and strengthen your application through volunteer work. Prepare your personal statement before the application opens in April as well. I found that this really allowed me to have adequate time to make sure my application was as strong as it could be, and left enough time to prepare for interviews. I also would say to take interviews as seriously as possible, preparing for them intently and thoroughly. I believe that because I was prepared for my interviews, I felt confident and could be myself without letting nerves take over. I hope this helps!! Message me with any questions or concerns, or email me at sarah7connors@gmail.com . I interviewed at all 3. I was accepted to 2. Then I was waitlisted and denied to 1. Any red flags on your application? I didn’t have a lot of patient care hours, which limited the schools that I could apply to. However, I had a wide range and depth of volunteer experience that made my application stand out. Anything you found surprising about interviews? Two of the three interviews that I went to were nothing like the cookie cutter interview questions I had prepared for. They were very personable. A lot of the questions they asked were about my application and my specific experiences. Were there any helpful resources (books, websites, apps) you used to get through prerequisite courses, the application or interview process? 1. The best advice I received for the interview process was know 3 reasons why you want to go to that school, 3 reasons that school should pick you, and have 3 questions about the program. 2. If you are still in undergrad, try to take your Anatomy I&II classes your senior year. It has been really helpful in PA school so far that I remember so much from that time. 3. Use Magoosh (affiliate link) and the Official GRE books to study for the GRE. It helped me a lot! 4. If you have a pre-PA organization at your school, get involved! If you don’t, start one! Any other advice for other pre-PA students? Take all the advice you are receiving with a grain of salt. I was told that I wouldn’t get accepted straight out of undergrad, that I would burn out, and that I didn’t have enough patient care hours. I was even told that I wouldn’t be accepted because I wore a dress to my interview. And I got in! 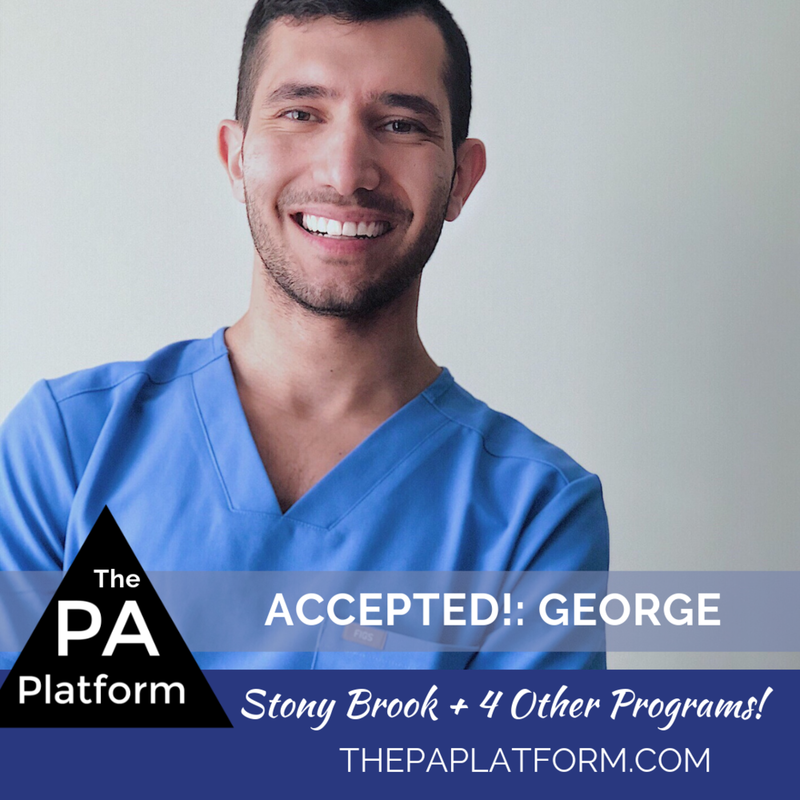 Shadowing hours: 60 (30 with a dermatology PA and 30 with a functional medicine PA). This is one part of my application I wish I had spent more time on. I also had hours shadowing a nurse practitioner which was helpful as well. LORs: 3--One from the MD I worked with, one from a NP I worked with, and one from the dermatology PA I shadowed. If you work in a medical setting, I highly recommend creating relationships with the providers. It made it so easy for me to ask for LORs, and they were more than willing because they had spent so much time with me and knew my work ethic. I think these helped offset my lower GPA. How many programs did you interview with and what were the outcomes? I received 3 interview invites, and I attended two: one at the University of South Carolina and one at Indiana University. I got waitlisted at South Carolina and luckily, I got accepted to Indiana University--my dream school! Where will you be attending? Indiana University. Go Hoosiers! Any red flags on your application? I think the two weakest parts of my application were my science GPA and my shadowing hours. If I could go back, I would retake a few of those science courses I struggled in, and I would find a PA I could shadow for a longer period of time. This is why it's so important to create those meaningful relationships with providers you work with or encounter. I wish I would have taken shadowing as seriously as I did getting patient care hours. It's just as important, if not more, because you get to see how different the daily duties of PAs in different fields are. Anything you found surprising about interviews? I was surprised at how quick some of the interviews were. In one of mine, the actual interview with faculty was only 20 minutes. The pressure was on! I had 20 minutes to convince them that I was a good candidate, and it was a bit stressful. Make sure you prepare exactly what it is you want them to remember/know about you because you may not get that much time. Other than that, I was surprised at how comfortable they made everyone feel; in the end it's just a conversation. If you can remember this, it's a lot less daunting and you're more likely to be yourself! Were there any helpful resources (books, websites, apps) you used to get through prerequisite courses, the application or interview process? The PA Platform was my go to all the way! Guys, Savanna provides so many resources; at first I only used the Facebook page and then her interview book. But, I started listening to the podcast the nights leading up to my interview, and it got me in such a wonderful mindset. Use all of the fantastic educational materials she provides. I also used the Physician Assistant Forum, and believe it or not, I used social media. Instagram and Facebook are great ways to connect with PAs and Pre-PA students. I had remembered that one of my peers at Purdue had gone to PA school and was working in Illinois, so I messaged her about the interview process and CASPA, and she was more than willing to give advice. The PA community is so supportive of each other, so use that to your advantage. Any other advice for other pre-PA students? While I was applying, I struggled the most with comparison. I would always seek out other students' stats, their GRE scores, what HCE they had, etc. As a result, I would start to doubt myself and question whether or not I would actually succeed at being accepted. The wonderful thing about the process is that everyone has their strengths. Use them! Stay in your lane and focus on all the fantastic things you're accomplishing. The process is tough, but if it were easy wouldn't everyone become a PA? Be kind to yourself and remember that your timeline and the ways in which you get to that white coat are your own, no one else's. You got this friends. Keep hustling! Where can we find you? (website, instagram, etc) You can find me on IG @practicingpoise. I also started a blog with some Pre-PA tips www.http://www.practicingpoise.com, or you can email me at bakermadison13@gmail.com. My program doesn't start until May, and I need something to fill up the time, so feel free to reach out! I am more than willing to help in any way I can, or if you just need a good vent session I am always around. Never give up and good luck! How many programs did you interview with and what were the outcomes? I was offered 5 interviews. I was denied from 1 program, an interview alternate at 1 program and have yet to hear from the other 3 programs. I attended 3 of the interviews, denied interview offers from the other 2 programs and I received acceptances from all 3 of the programs I interviewed with. Any red flags on your application? I had a non-competitive GRE score, low amount of direct patient care hours and two-course withdrawals on my transcript. When applying with my lower GRE score I looked at programs that didn’t require the GRE, did not focus or mention a specific GRE score they were looking for applicants to obtain. Also, with my low amount of PCE hours, I looked at programs that didn’t require a certain amount of hours or required the number of hours where I met the minimum. Anything you found surprising about interviews? Every interview I attended was completely different! The interview styles I experienced included traditional, situational/ethical and MMI. It was a great opportunity to see how each program used their own unique interview techniques for picking their future students from a variety of diverse applicants. Additionally, I was shocked at how friendly and sociable fellow interviewees were! Interviews are a stressful time yet everyone was talkative and wanted to get to know you. I actually made quite a few friends throughout my interviews and even saw some of the same people at multiple interviews! Overall, I had a wonderful experience with my interview process and just know everyone there wants to see you do well and succeed! Were there any helpful resources (books, websites, apps) you used to get through prerequisite courses, the application or interview process? I used a variety of resources from a plethora of social media platforms including Facebook, Instagram, Youtube, Podcasts and various websites. 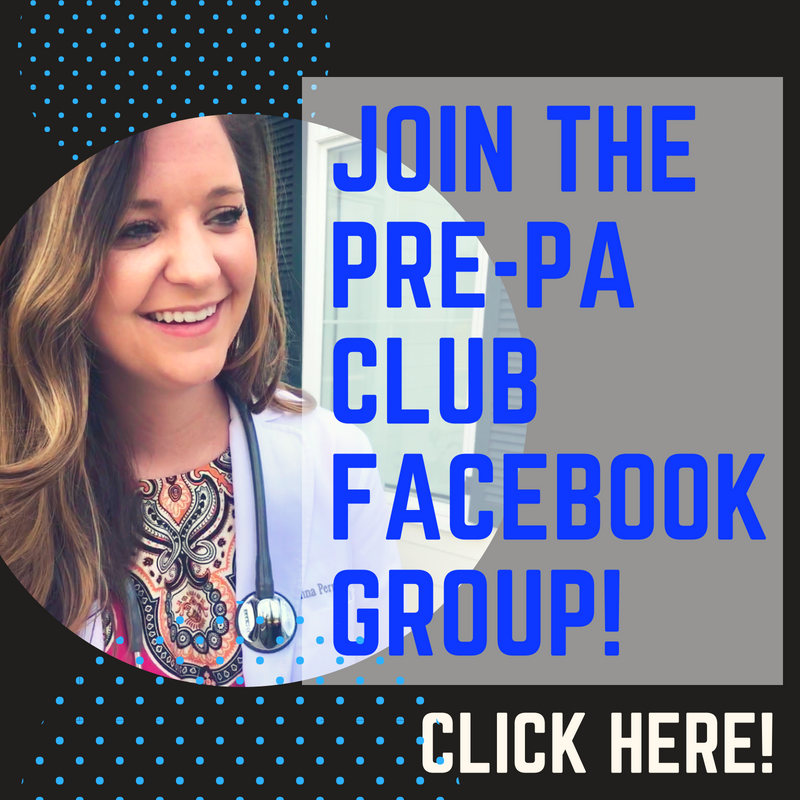 I highly recommended joining the Pre-PA club facebook page/group to meet fellow Pre-PA students from around nation. I followed various PA-S/PA-C on Instagram who talk about their experiences, how to prepare for the PA school application process and write very helpful blog posts. I listened to The Pre-PA club podcast by Savanna Perry, I watched Adanna the PA videos on YouTube and visited ThePAPlatform.com which all helped me get more exposure to information regarding Pre-PA FAQs. To make sure I had a great personal statement I utilized MyPAResource. Then, once I started receiving interviews I visited PAforum and ordered the Physician Assistant School Interview Guide book by Savanna Perry. By using these resources it allowed me to have a diverse outlook on what are the beneficial ways to be the most competitive applicant you can be! Any other advice for other pre-PA students? Start as early as possible! This can be through getting PCE hours, shadowing, taking to GRE and completing prerequisites. As you know this application process for PA school is very competitive so the more you can stand out, the better! I also would recommend trying to become a well-rounded applicant and not just focusing all your energy on one aspect like PCE hours. Also, PA-S’s and PA-C’s are all so willing to help and want to see Pre-PA’s succeed! This is because they were in your shoes and understand what you are going through. With this being said don’t be afraid to ask them for help or questions. Lastly, just believe in yourself and know your hard work will pay off! How many programs did you apply to? 6 programs this cycle. 3 last cycle. I chose to commit to North Greenville University. I was one of two students offered a seat in the program immediately following the interview. This is a fairly new program, but after meeting with the staff and current students, I knew it was the place for me. Last cycle: one interview, one waitlist. I was surprised by the low key and relaxed nature of the interview! I was surprised by the questions asked during MMI but overall, I could sense that the questions were meant to show how I problem solve rather than the answer itself. My medical mentor was absolutely vital in writing and editing my personal statement! Once I landed the interview, I began reading the PA Interview Guide - it was such a huge help in calming my nerves! It opened my eyes to see that programs are inviting me because I am qualified - the interview is a way to show them my personality! Don't be afraid to reach out for help. Stay true to yourself throughout the process! If there's something you're passionate about, stick to it. Use it as an opportunity to find where you belong as a future PA. Always tell a story when answering an interview question. Any speaking opportunity is a chance to let your personality shine! If you're a applicant, try not to take it personally! Reach out to other current PA-S, Pre-PAs and PA-C for advice. You'll be surprised just how willing our little community is to support one another. Find out where you can improve your personal statement, PCE/HCE, or interview style. Show these programs how resilient you are! Undergraduate education: University of North Carolina at Pembroke. Major: Biology with a Biomedical Emphasis. I will be graduating in May 2019. Total PCE hours: At the time of application, ~1300-1800. 500 of my hours were not counted at certain schools because I obtained them as a Paramedic Intern. Most of my patient care hours were obtained as a Paramedic and the rest I functioned as an EMT-Basic. Other volunteer hours: ~350. Most hours were obtained volunteering at events for our honors college. How many programs did you apply to? 10. Still waiting to hear back from 5 schools. How many programs did you interview with and what were the outcomes? Invited to 5 interviews, rejected 4 of the invites, and accepted to the 1 school I interviewed with. Where will you be attending? Methodist University in Fayetteville, NC. I am local to this area, so Methodist was one of my top picks. Anything you found surprising about interviews? The faculty was easy to talk to, and they were also transparent about any issues the school had dealt with in the past. Methodist exhibited professionalism throughout the entire process, even before I had applied. Their program director answered emails promptly, and the interview process was explained in great detail. When contacting schools and interviewing with them, please keep in mind how they talk to you and how eager they are to assist you with questions. This process is a two way street, and they are trying to sell themselves to you too. Were there any helpful resources (books, websites, apps) you used to get through prerequisite courses, the application or interview process? For interview prep questions, I used How To "Ace" The Physician Assistant School Interview by Andrew Rodican (Affiliate Link). The book gave me a feel for what questions to expect, but the book felt outdated in some areas. For websites, I used the PA student forum and Savanna's blog posts. The Pre-PA Club on Facebook was also useful. On the forum, I was able to connect with people who were interviewing, and I met up with some of them before we interviewed. Now some of them are going to be my classmates! Any other advice for other pre-PA students? If you meet the requirements to apply, go ahead and do it. When CASPA opened up, I had made up so many reasons I shouldn't apply (age, GRE score, low PCE). I ended up getting interviews at schools that were my "reach" schools, so I had worried myself to death for no reason. Do your best to prepare for interviews early because sometimes schools give a last minute interview to people, and you might not have time to start prepping like you had thought. Finally, APPLY EARLY! Any red flags on your application? Low science GPA, my GRE wasn’t that competitive, but I met the requirement of my program. Anything you found surprising about interviews? My interviews were pretty laid back. You can tell they wanted to know who you were as a person and not just giving you a hard time. Any other advice for other pre-PA students? You can do this! Do NOT give up. This process isn’t easy but its so worth. If you know you want to go to PA school start getting your patient care hours early. If your GPA isn’t the best that doesn’t count you out! Keep working hard but most of all enjoy the journey. One minute you will be submitting your CASPA and before you know it you will be starting PA School. Undergraduate education: I obtained my Bachelor's of Science in Kinesiology and Health Promotions from the University of Kentucky in May 2018! How many programs did you interview with and what were the outcomes? I had one interview with UK and was accepted before the other 3 programs extended interview invitations. Anything you found surprising about interviews? I really enjoyed interviews because it allowed me the chance to know more about the students and staff, even future classmates! The interviews were much more of a conversation and I felt very comfortable. Were there any helpful resources (books, websites, apps) you used to get through prerequisite courses, the application or interview process? I purchased the PA Interview Guide and read through it after submitting all of my CASPA and supplemental apps. I would go through and quiz myself on questions in the book and practiced with my family. I also scheduled a mock interview with Hanna while I was waiting for interview invitations. I was able to review how I interviewed and fine tune some of my weaker points. Any other advice for other pre-PA students? My advice for Pre-PA students is to become involved in your favorite PA program and your state's PA chapter. Start learning about staff, the program's mission, disparities in healthcare, attend your PA program's fundraisers and join their pre-PA club if they have one! 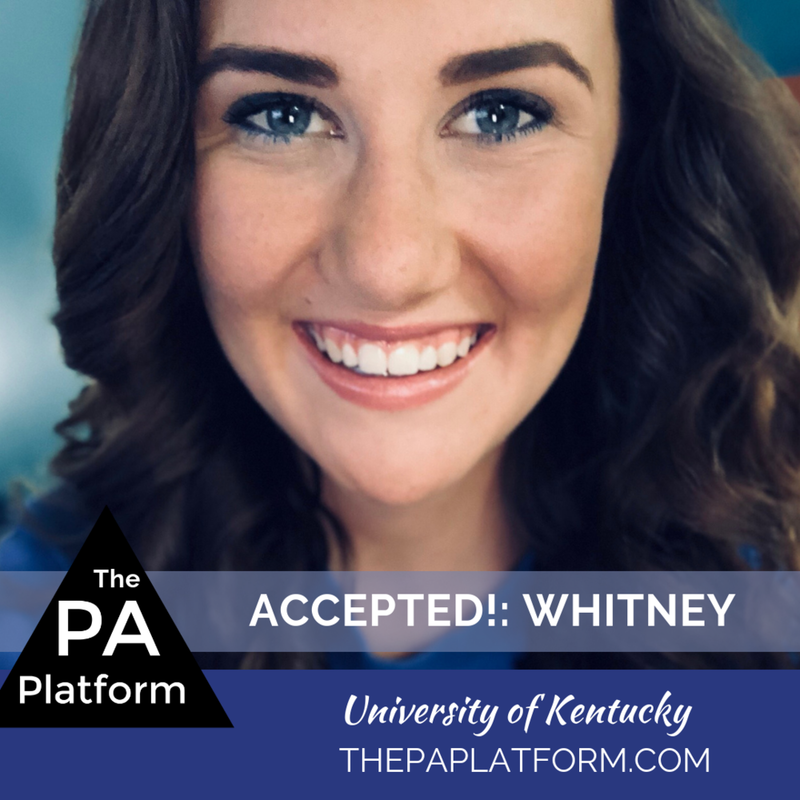 By the time I applied to UK I felt like I was part of a family (who all happen to be very intelligent and compassionate PA's!) I would also say to enjoy your hours as a CNA or EMT and don't be afraid to ask questions to ultimately learn more about medicine and science. I feel very strongly that patient care is the most valuable asset someone can possess as a future PA. You learn to appreciate not only how hard you work to pursue the PA profession, but how hard each individual in healthcare works to provide quality care to our patients. I would also suggest trying to scribe whenever possible! It's a wonderful opportunity to shadow providers and learn about the medical decision making process! LORs: 3: One from my manager at the restaurant i work who I’ve known for 3 years. One from a PA I shadowed and who has been my mentor through this process over the past few years. One from my honours project lab supervisor. How many programs did you interview with and what were the outcomes? I interviewed with the one and was accepted a week later! Anything you found surprising about interviews? I actually had a lot of fun interviewing and it truly was just them getting to know me as a person. Were there any helpful resources (books, websites, apps) you used to get through prerequisite courses, the application or interview process? I read Doing Right by Philip C. Hébert which was a book on medical ethics that helped with interviews. (Affiliate Link) I also used many blogs and forums focused on PA/Medicine for interviews and MMI’s. Any other advice for other pre-PA students? I think gaining experience is not only important because the programs require it but it also makes you a well-rounded person and gives you vital life experiences that anyone going into a healthcare profession needs. Between my first year applying (and not getting an interview) and my second year (getting accepted) I gained experience by working with people who had neurological motor disabilities. I found that I learned so much from the experience not only about working with people but also about myself and I feel more prepared and equipped to enter the PA profession because of it. Anything you found surprising about interviews? I was more nervous before going into the room than I was during the actual interview. I think the way the conversation evolved really gave me insight for whether I was a good match for the program. The schools I was most comfortable with were the ones in which it seemed like I was having a conversation rather than being interviewed. Also, I participated in one MMI style interview and it wasn't as bad as I was expecting it to be. I think it's best to get rid of preconceived notions and truly showcase who you are as a person in all of your interviews - In the end, I believe that's what matters the most. Were there any helpful resources (books, websites, apps) you used to get through prerequisite courses, the application or interview process? I followed and connected with pre-PA, PA-S, and PA-C instagrammers :) For GRE prep, I used Magoosh (and LOVED it) & for interview prep I used The 100 Interview Questions from The PA Platform (thanks Savanna!). Any other advice for other pre-PA students? YES - STAY POSITIVE! It is so easy to get bogged down with trying to get everything done right, making sure you're competitive and then waiting to hear back about interviews and acceptances. Remind yourself of all of the great things you've accomplished, continue working hard and know that in the end, it will all pay off. Where can we find you? (website, instagram, etc) Instagram: @livingthatPAlife is where I am documenting my journey through school and eventually in the field. In addition, feel free to email me anytime at amahajan.pa@gmail.com and I will help as best I can. Undergraduate education: The University of Georgia; Nutritional Sciences- B.S.F.C.S. How many programs did you interview with and what were the outcomes? I received an interview invitation from one of my top choices 15 days after submitting my CASPA. Exactly 1 month later, I was accepted. I received another interview invite about 1 week after the first and attended that interview as well. The programs that start in January move fast!! Any red flags on your application? I worried that my patient care and volunteer hours were too low, but I hoped that the admissions committees would notice the quality of my hours rather than the raw numbers. Anything you found surprising about interviews? I was pleasantly surprised by how comfortable the faculty members made the candidates feel! Both of the interviews that I attended were two days long. The first day consisted of a presentation, meet and greet, student Q&A, tour, etc., while the actual interviews took place on the second. On the inside, I was super anxious, but once I was one-on-one with my interviewer, I was extremely calm. I could tell that the faculty genuinely cared about their current students, and wanted to explore my personality to determine if I'd be a good fit. Were there any helpful resources (books, websites, apps) you used to get through prerequisite courses, the application or interview process? I read and annotated "How to Ace the Physician Assistant Interview" by Andrew Rodican (Affiliate link). One of my friends was also kind enough to set up a mock interview in a coffee shop. We pretended to not know each other, and it really helped my confidence in my answers. Any other advice for other pre-PA students? In my opinion, the most important part of your application is your GPA. Focus on your classes in undergrad and maintain a high GPA. It's easy to jump at patient care opportunities while taking classes, but there's time after graduation to gain experience. It's hard to raise your GPA once it starts dropping. Also, once you have an interview invite, set the tone for your interview by walking in the room with confidence, smiling a lot, and even cracking a joke!